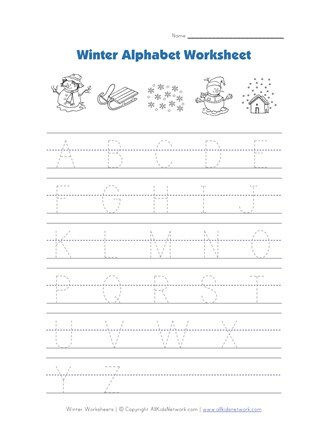 Trace each of the letters of the alphabet with this winter letter tracing worksheet. All the letters are capital in this version, but we also have a version with all lower case versions. 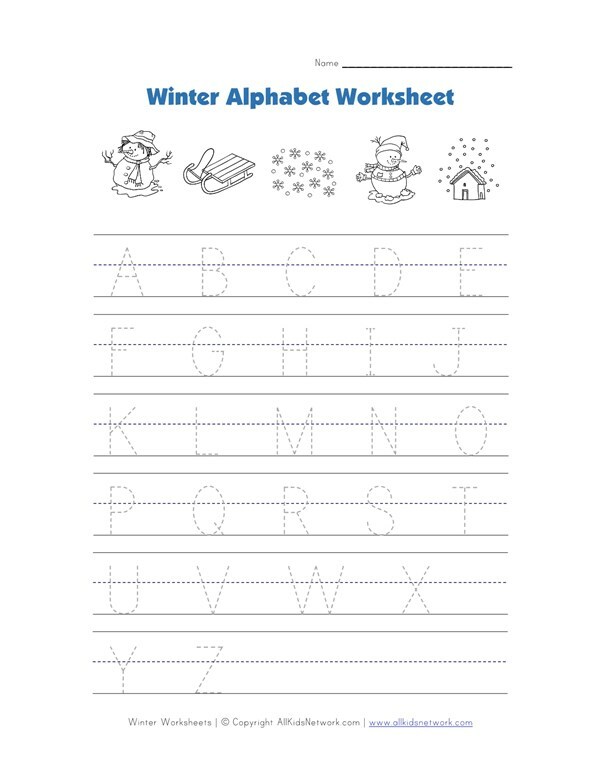 Kids can also color the winter themed pictures at the top if they want.